If you're keep getting the "Windows detected a hard disk problem" error in Windows 10/8/7, then this article will show you how to fix it. Windows comes with Self-Monitoring And Reporting Technology (S.M.A.R.T) which keeps monitoring hard drives, and reports when it finds a fault. This ensures that users are warned as soon as possible, whenever there occurs a fault with the drives. The technology works in collaboration with Diagnostic Policy Service and logs the event in Event Viewer. Once users are warned, they can perform the backup of their valuable data. Back up your files immediately to prevent information loss, and then contact computer manufacturer to determine if you need to repair or replace the disk. If you’re also getting this error frequently, here’s how to fix it. 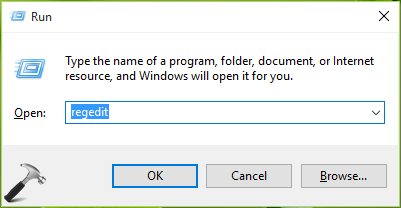 Let Windows check for disk errors and fix them accordingly. Once complete, check if the problem is resolved. If your system is working fine but still you get the error message, go ahead and try FIX 2. After following this fix, the issue should no longer persist. In case if you’re still in same dilemma, backup your data and replace the faulty drive.